On the other hand AllSync, from the same company, is time-limited shareware--perhaps Lee got the two confused? It's not freeware. It's a time-limited demo. Not as simple and clean as other duplicate checkers so I was a little intimidated. 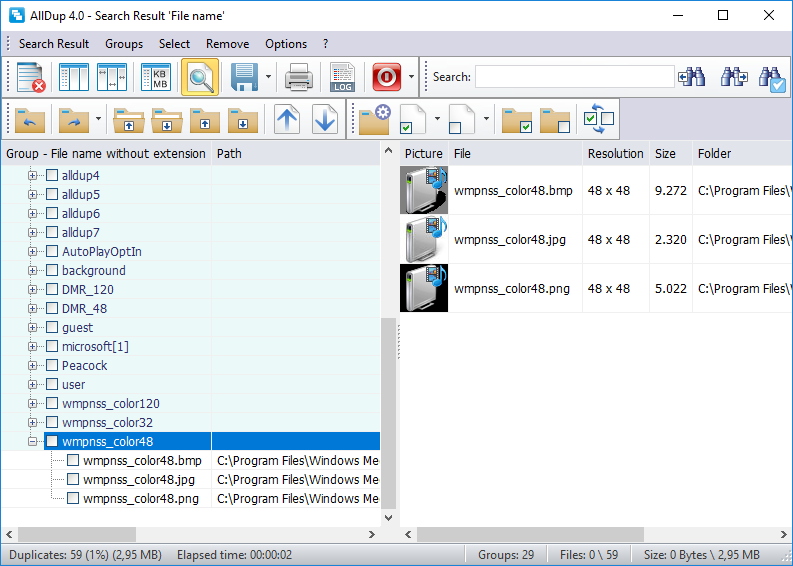 But the file preview option really grabbed me: this is a powerful way to track down duplicate files.